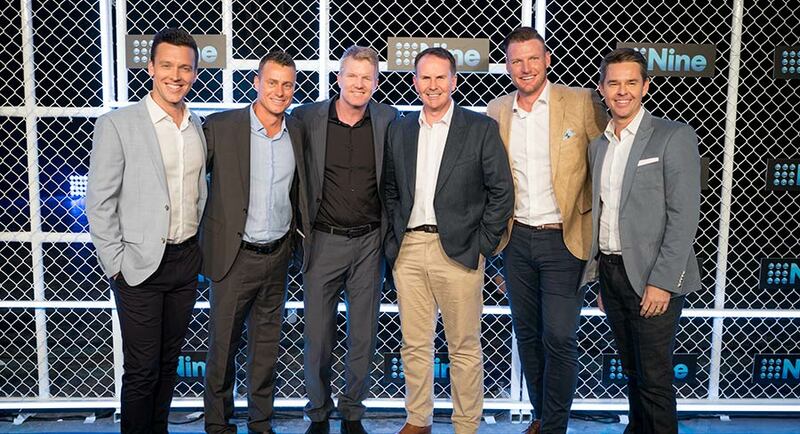 Sport on Nine was a big focus at Nine’s 2019 Upfront event last week. There will be a similar emphasis on Nine’s Wide World of Sports when Nine presents its 2019 schedule to media buyers and clients in Melbourne today. The evolution of sports rights has perhaps never been so evident than at Nine. The deal with Netball Australia gave Nine skin in the game as they jointly sell sponsorship for the league. The Tennis Australia deal gives Nine the Australian Open with all rights on all platforms. The NBL deal means Nine doesn’t pay a rights fee but shares the revenue from broadcast with the league. Mediaweek spoke with Nine’s director of sport Tom Malone about what’s ahead for viewers of Wide World of Sports. “Nine was the protagonist in the greatest shakeup in sports rights in 40 years. It was our decision to go after the tennis. We did that because marketers demanded performance and consistency, and that is what the tennis delivers. “The Australian Open is the greatest aggregator of eyeballs on Australian television on consecutive nights bar none. For 14 nights in a row you are getting 1m+ viewers watching tennis on Nine. “The audience is a better demographic, a male-female split, and it’s a younger audience. Nine’s tennis year starts with the Hopman Cup, then the Brisbane International, Sydney International, Fast 4 and then the Australian Open. “The NBL gets to the 16-39 male audience, which is very hard for advertisers to get to. We are starting slowly with the NBL but we are quite confident about the growth of the audience. Malone: “Five Ashes Tests are exclusive to Nine in August until September next year. Normally they would run earlier in the year, but the Cricket World Cup takes over the early part of the summer until mid-July. “There will be no One Day Internationals [which were played this year] and no T20. Malone: “It has been a good year for rugby league. You can look at all different metrics to measure it. We have had another great revenue result for rugby league this year. The audience from a consistency point of view has been terrific. The netball delivered a better financial result for Nine in 2018 with revenue up close to 15% year-on-year. Listen to Mediaweek’s podcast with Tom Malone in May this year on PodcastOne. Leanne Jones is one of the presenters on the new Your Money channel. She was onstage at the channel launch talking about her Business Breakfast show. She might have faced the toughest challenge last night. Just a few hours later her alarm went off at 3am and she in the News Corp studio by 4am preparing for this morning’s show, which started at 6am. Launched just three weeks ago, the channel’s official launch featured the CEOs of the JV partners – News Corp’s Michael Miller and Nine’s Hugh Marks. However, it was incoming Sky News Australia CEO Paul Whittaker who stole the show. Whittaker, just in his seventh day on the job after leaving The Australian, reminded the guests that just a few months ago he was writing about the death of Fairfax as Nine revealed its merger proposal. “The day Fairfax died”, said the headline. Now just weeks later he is working alongside the new Fairfax owner in a JV. And that new Fairfax owner reckons Fairfax is far from dead. 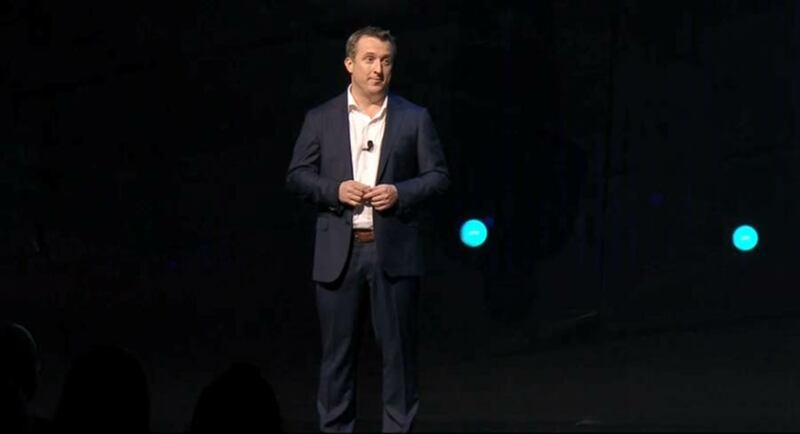 “To Hugh’s credit, Nine has stuck with this joint venture as our partners, and I hope this will be a smoother coupling than the big one they are still yet to finalise,” said Whittaker. Your Money’s host of the 5pm show Ticky, Ticky Fullerton, hosted the event and introduced Miller and Marks, who delivered short welcome speeches where they both paid tribute to the channel’s CEO Kylie Merritt and her team for making the transition from Sky News Business to Your Money in a very short period. 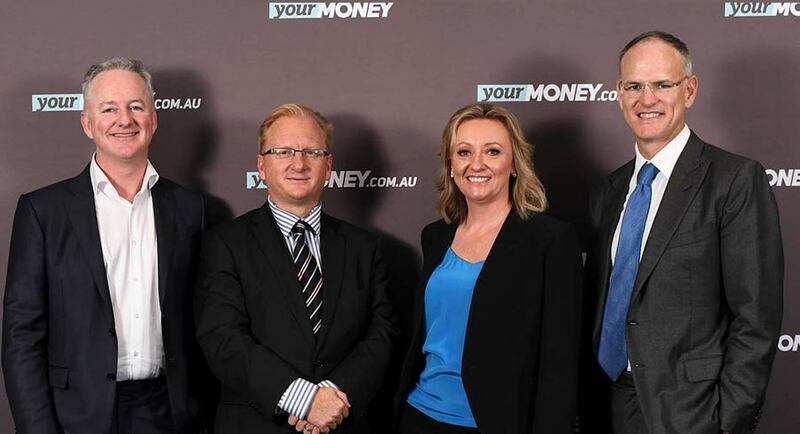 Fullerton was then joined on stage by her on-air Your Money colleagues – Leanne Jones plus James Dagger-Nickson and Ingrid Willinge – who talked about their respective programs and what they were offering viewers. Although the primetime hosts Brooke Corte and Chris Kohler didn’t speak, they could see the launch event and the guests could see them as they were broadcasting behind the studio glass. 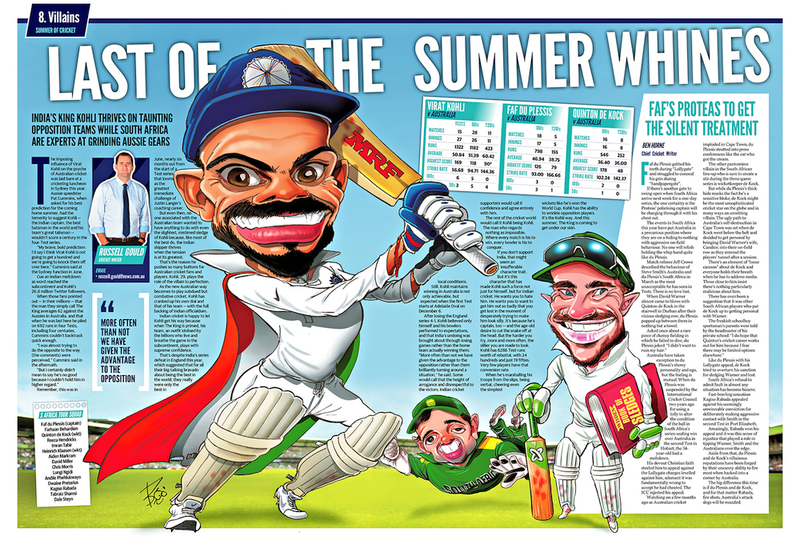 The summer of cricket is about to get under way in a few weeks’ time and this year it has a new home on free-to-air TV. Ever since winning the broadcast rights for the game earlier this year, Seven has been out in full force to secure some of the best names for its coverage. Lisa Sthalekar is a former captain for the Australian women’s cricket team and now a commentator. In a conversation with Mediaweek from India, Sthalekar described this as her second career. Sthalekar’s love for the game comes from her father, who exposed her to cricket when she was child. Sthalekar started playing it competitively in the under 10s team and went on to forge a successful career at both the state and international levels. 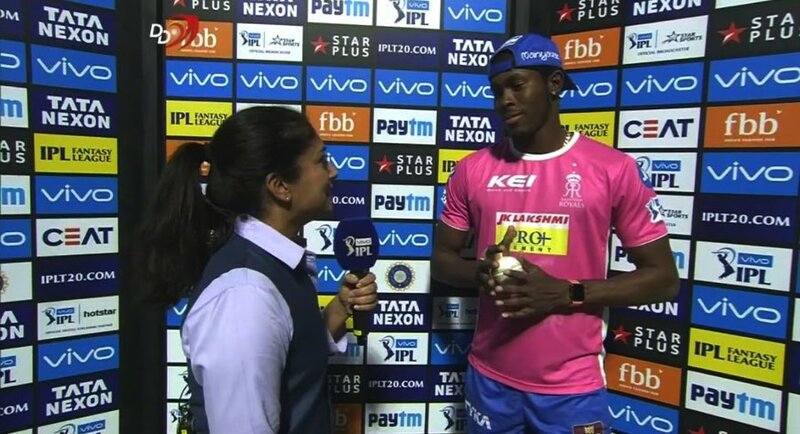 “As an international player you get exposed to being interviewed regularly. Seeing how it all gets put together certainly intrigued me,” Sthalekar said. She got her first chance to call a game while she was still playing. Sthalekar got to call five overs with Tony Greig and Mark Nicholas. She notes this as a career highlight. “That sparked my interest in wanting to do this,” she said. Sthalekar retired from playing cricket in 2013, after which she took up a full-time job at Cricket NSW. 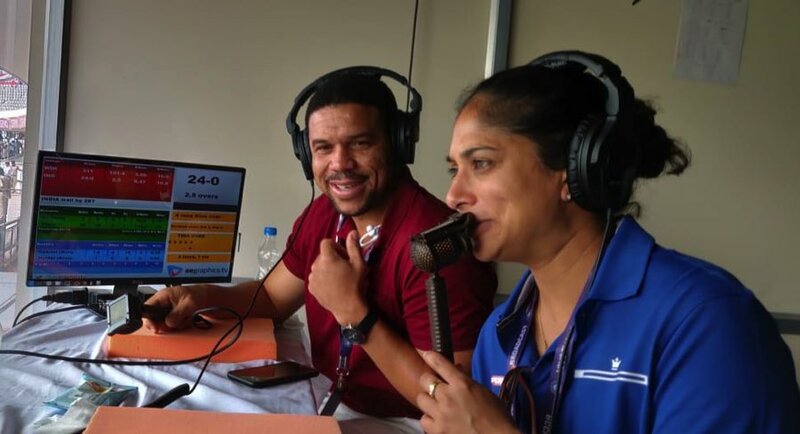 It wasn’t until 2015 that she took a leap of faith and left her job to pursue a career in cricket commentary. Sthalekar said, “Thankfully, it’s worked out. Sthalekar has worked with Nine and Ten in the past with their coverage of the cricket and Big Bash League. At Seven, she will be heavily involved in the network’s coverage of the women’s game and WBBL, as well as some men’s games. 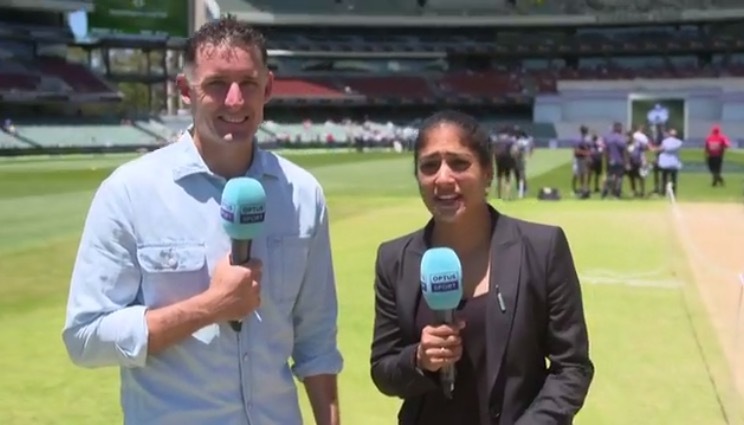 Sthalekar is also a part of 1116 SEN’s coverage of the cricket this summer. 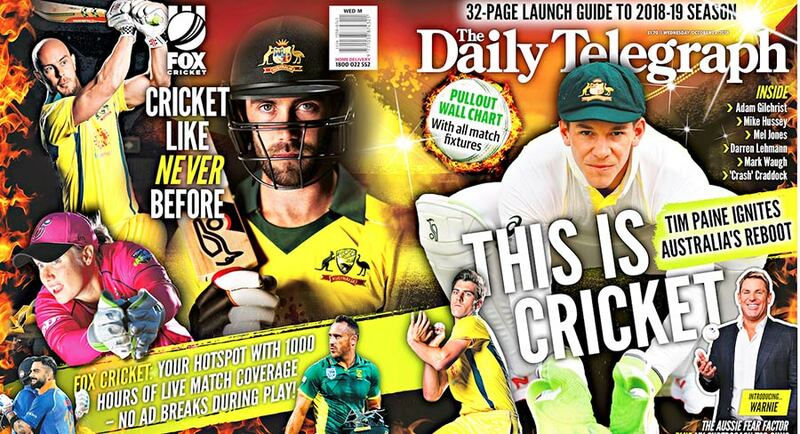 For the first time, News Corp Australia is launching its summer of cricket coverage and the Fox Cricket channel with a 32-page guide to the 2018-19 season that will wrap around The Daily Telegraph, Herald Sun, The Courier-Mail and The Advertiser. News Corp managing director of sales Lou Barrett said: “We are taking the cricket fans beyond the game, with the ultimate experience, keeping them engaged with News’s suite of assets, including analysis, game day updates and commentary, as well as ‘second screen’ initiatives including Supercoach, the premiere location for any fan looking to be part of the game in a whole new way. 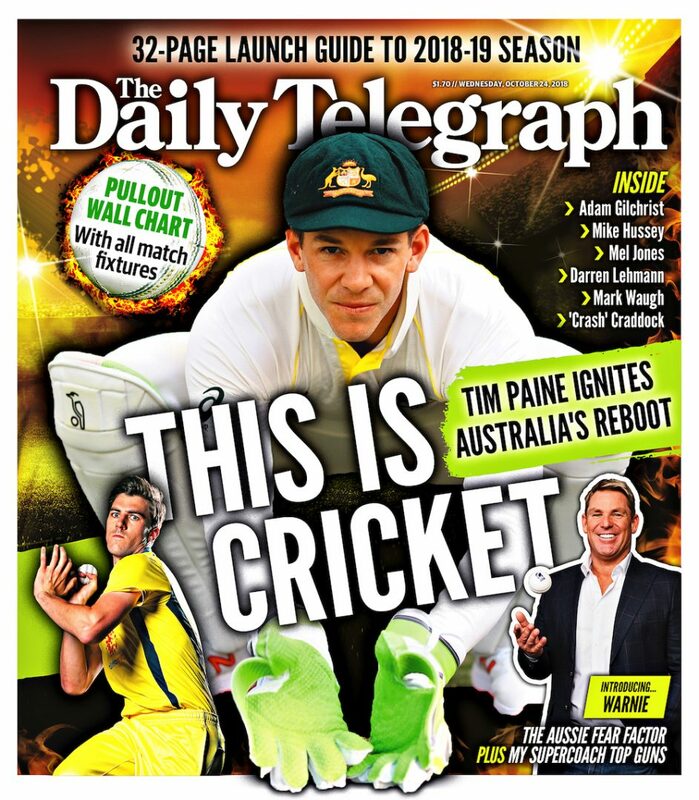 “After more than 30 years of covering the game, I am more excited than ever to be part of the News Corp cricket team and to help launch this landmark guide to cricket, like never before,” said Craddock. Adam Gilchrist on Australia’s best XI for the One Day International series against India and why we can be a force at the World Cup in England next year. Mark Waugh on how Australia’s world-class pace attack can exploit India’s vulnerable batting lineup going into the summer Test series. Mike Hussey preview of the Big Bash League. Mr Cricket’s power rankings predict where your BBL team will finish and why. Darren Lehmann analysing Australia’s T20 international stocks ahead of South Africa match on the Gold Coast and the three game series against India. Mel Jones on how the Aussie women’s team finally has the firepower to win the ICC World Cup in the Windies starting November 10. Coinciding with the cricket wrap, in a united push, News Corp major metro newspapers are today seeking to reignite the debate about the controversial ball tampering saga and sanctions by determining whether people think former Australian cricketers Steve Smith and Dave Warner should be reinstated to the national side. Seven has won its first Tuesday since the launch of The Block. Seven last night ranked #1 primary and #1 combined with help from 7mate’s strong 4.6% share. Home and Away slipped a little to 612,000 after starting the week on 629,000. Seven might have won the night, but its 7.30pm program Take Me Out ranked #4 in the slot with 489,000. The Good Doctor then had to do some heavy lifting to get the audience back to 613,000. The US medical drama did 633,000 a week ago. A Current Affair was down from 769,000 on Monday to 713,000 last night, this despite exclusive footage of former Bachelor Stu Laundy bleeding after ACA reporter Steve Marshall punched him in the head! With The Block off-air until the final episode on Sunday, US sitcoms filled the critical slots. Young Sheldon returned with two episodes at 7.30pm with audiences of 611,000 and 550,000. A Big Bang Theory double shot followed with a new episode on 602,000 followed by a repeat on 518,000. The Aussie sitcom Kath & Kim followed with two episodes delivering audiences of 257,000 and then 240,000. Jamie Lee Curtis was the star attraction on The Project with 468,000 after 7pm, up from 441,000 on Monday. 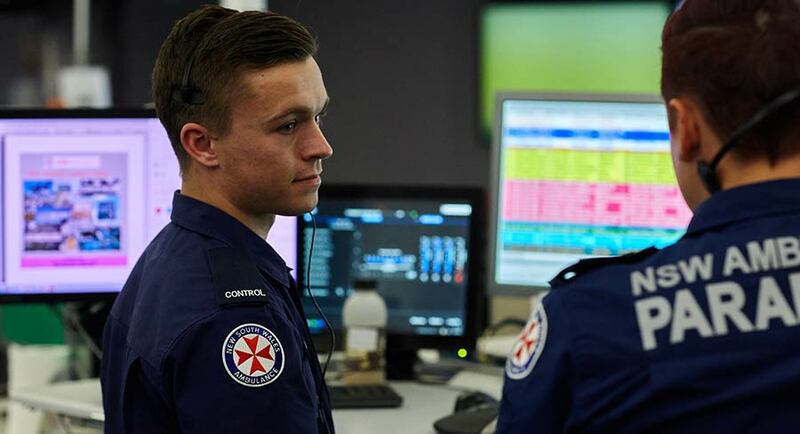 Ambulance Australia had a strong night, winning its timeslot with 684,000 – that’s up 100,000 week-on-week – and enough to make it #1 non-news show of the night. The audience dropped away though for the US dramas that followed – the new FBI on 366,000 and NCIS: Los Angeles on 239,000. Invictus Games Today did 400,000 at 8pm after 482,000 on Monday night. Catalyst was about the bionic revolution after 8.30pm with 403,000. Michael Portillo’s Abandoned Britain was the channel’s #1 last week with 299,000. The second episode dipped slightly to 276,000 last night. DNA testing went under the microscope on Insight with an audience of 317,000, which is a good chance to be the channel’s best this week. Shares of Australia’s biggest-listed advertising group, WPP AUNZ, dived 35% yesterday following a profit warning and the surprise resignation of long-serving boss Mike Connaghan, reports The Australian’s Lilly Vitorovich. WPP AUNZ, which counts ad giant WPP as its biggest shareholder with a 61.5% stake, said its full-year results would be below its current guidance of 3% growth in earnings per share, based on its August and September trading performance and latest outlook for the rest of 2018. The company blamed the underperformance of some production businesses and creative agencies, with 60% of the reported decline against 2017 attributed to just two businesses. 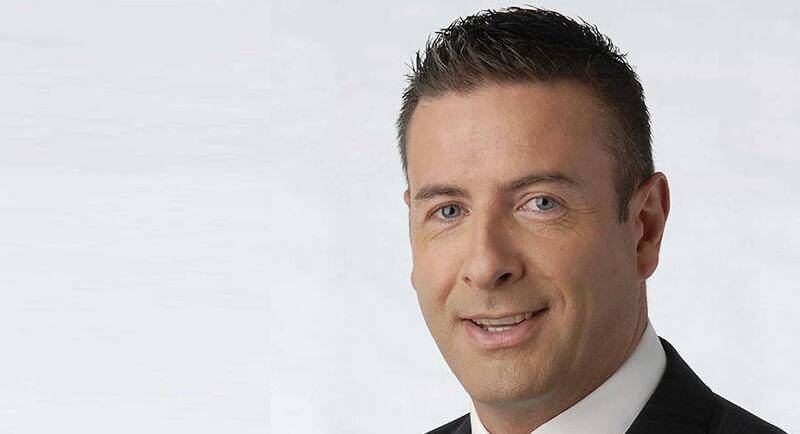 The chief executive of Seven West Media Tim Worner has announced the appointment of Rainer Rhedey (pictured) as the company’s chief technology and information officer. 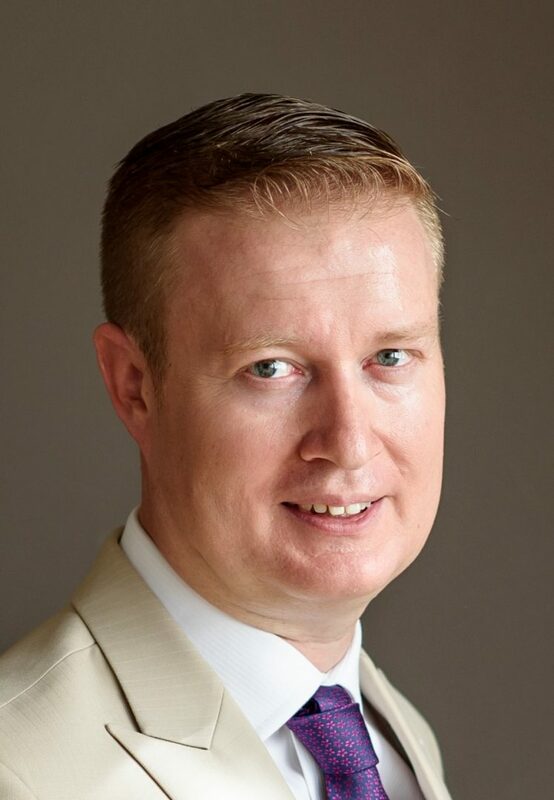 Rhedey, who starts in his new role on December 3, joins SWM from Fairfax Media where he was group general manager of IT. In the newly created role of CTIO, Rhedey will be responsible for Seven West Media’s IT and technology systems and infrastructure. Rhedey has over 20 years of experience in the technology industry. He has been responsible for a range of areas throughout his career, spanning from internal IT departments to professional services teams for systems integrators and software vendors. Acting ABC managing director David Anderson discussed taking a redundancy from the corporation earlier this year, reports The Australian’s Stephen Brook. Anderson, who was installed as managing director in the last week of September after the board sacked Michelle Guthrie, admitted that he had discussed his future at the corporation several times. Senator Abetz later released a statement questioning Anderson’s fitness to continue as managing director. “This revelation tonight where it appears Anderson may have sought to game the system to get a redundancy where no redundancy would have existed is highly concerning,” Senator Abetz said in a statement. Anderson said the axing of the controversial Tonightly satirical program, which had attracted a complaint from the communications minister Mitch Fifield, was made by him with the support of Guthrie. 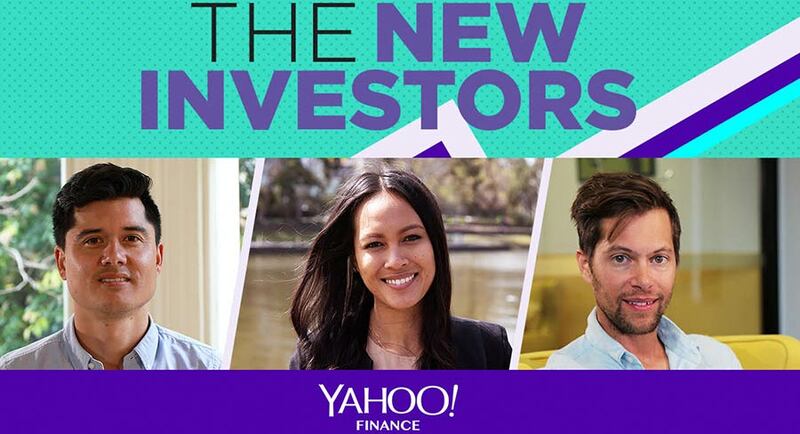 Yahoo Finance has launched its first original content series, The New Investors. The video series showcases a new generation of finance experts helping Australians navigate their financial future in different and unexpected ways, complemented by in-depth analysis across the site. The New Investors will bring the latest trends in alternative investing, ethical investment and personal finance to younger Australians interested in approaching their financial decisions in a new way. The series, in conjunction with Yahoo Finance’s first consumer marketing campaign Make Money Work, will feature three specialists in the finance, fintech and investment fields delivering relevant news and trusted tips on how to invest for your future. The team is made up of Al Bentley, a self-taught investor and finance whizz; Shahirah Gardner, a fintech and startup investment expert; plus warrior impact investor Will Richardson. 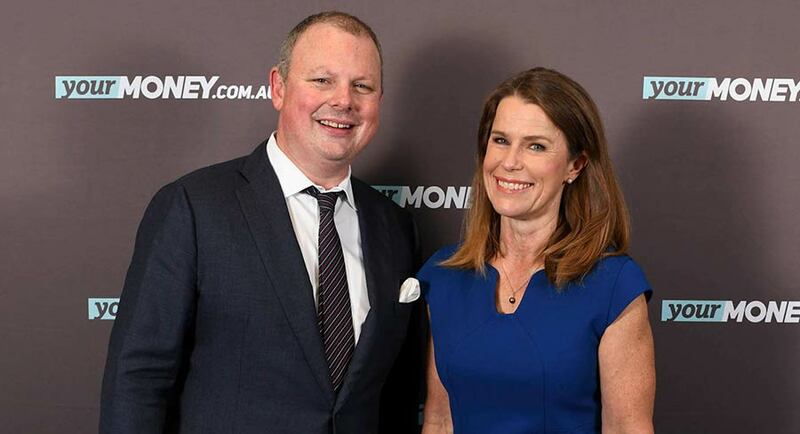 The new vertical will sit as part of Yahoo Finance and bring news and trusted tips to Australians at any stage of life, without losing their focus on money and the markets. 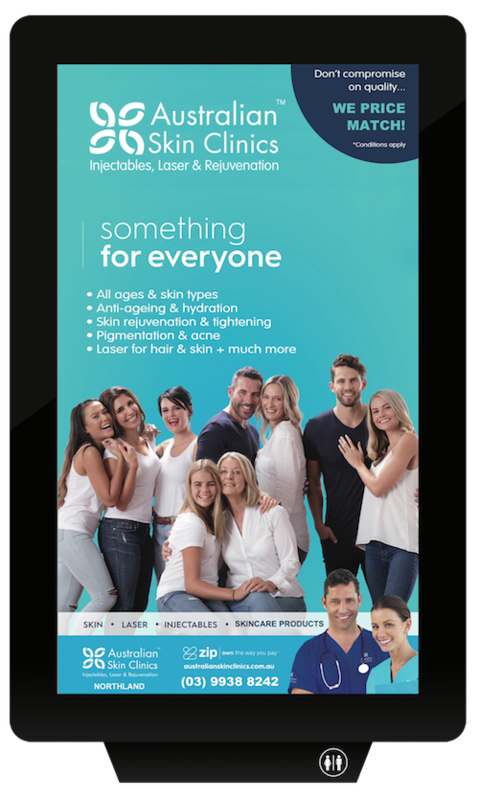 Australian out-of-home media company Convenience Advertising has unveiled its new digital narrowcast network. 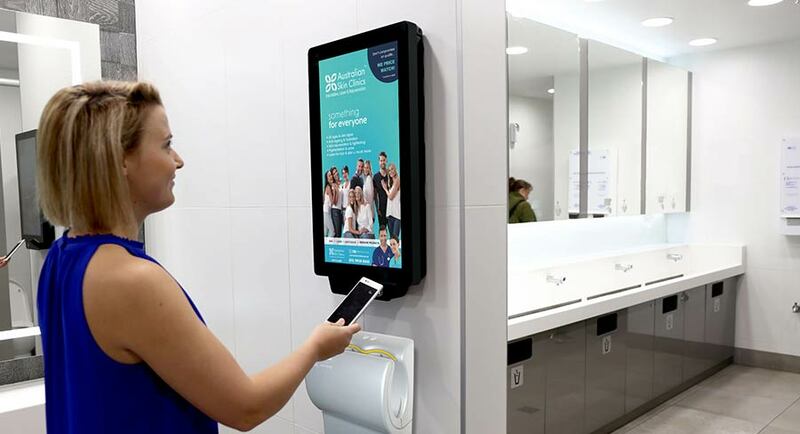 The new advertising and content platform CaptiVision sees a network of interactive digital screens installed across Convenience Advertising’s footprint of bathrooms in Australia’s leading premium locations, including high-traffic airport and retail shopping centres such as Sydney Airport and Chadstone Shopping Centre. The addition of near-field communications (NFC) capabilities offer consumers opportunities to interact directly with the CaptiVision screens via smartphones and smartwatches. Screens will also offer better opportunities for advertisers with animation, video and static displays. Campaigns will include unique flexibility in scheduling, with day-parting, weekly and fortnightly schedules. The CaptiVision network offers advertisers the opportunity to engage with the more than 280 million passenger trips and shopping centre visitations annually in high-dwell, highly targetable locations. Built-in audience measurement capabilities will allow advertisers to ensure each campaign reach is measured in real-time by gender, lifestyle, engagement, location and time. Anna Validas, CEO of Convenience Advertising, said the launch of CaptiVision heralded a new era in specialty out of home advertising. “Since we launched Convenience Advertising over 30 years ago, the idea of being able to target positive messages to engaged audiences in this way has been highly attractive to advertisers. “The launch of CaptiVision signals an evolution of this success, coupling new possibilities in creative execution with state of the art analytics and time of day targeting to create a highly attractive digital proposition. “CaptiVision is a dynamic digital solution that is highly customer-centric, with a cap on rotations to ensure high recall and effect for advertisers as well as audience measurement unique to the bathroom environment,” she said. Oscar-winner Geoffrey Rush has told a court a text message he sent to an actress saying he was thinking about her “more than is socially appropriate” was a “throwaway line” and the accompanying emoji was the “looniest” he could find, reports ABC’s Nick Sas. Giving evidence on the second day of a defamation trial, Rush, 67, was cross-examined by lawyers who accused him of having a “crush” on actress Eryn Jean Norvill. Rush is suing News Corp Australia’s Nationwide News, the publisher of The Daily Telegraph, and journalist Jonathon Moran over several articles alleging he acted inappropriately towards an actress during a Sydney Theatre Company production of King Lear. Rush denied the allegation and the implied connection with the emoji and said the other women in the play would tell him he was “acting like a galah” if the accusation actually took place. Rush also denied touching Norvill’s breasts, making groping gestures while growling or making “lewd comments about her body” during the production. A crowd-sourced news website from the founder of Wikipedia has laid off reporters a year after it launched with a promise to reinvent journalism, reports The Times. Jimmy Wales announced Wikitribune last year, promising to publish “news by the people and for the people” by pairing professional journalists with volunteer fact-checkers. The model was inspired by the collaborative approach that has made Wikipedia, which he co-founded in 2001, one of the most popular internet sites. The London-based site has been live for 12 months but Wales has now ditched the original strategy by laying off the site’s team of reporters and editors. The site’s original backers included US journalism professor Jeff Jarvis. English model and actress Lily Cole was listed as one of four advisers. In news that will surprise no one today, Delta Goodrem has announced she is not getting married, reports Fairfax Media’s Amy Croffey. It’s unsurprising not because the Australian songstress, 33, couldn’t get hitched (no doubt she has a list of offers as long as her arm) but because the source of rumours about the alleged nuptials is New Idea magazine, otherwise known as No Idea. The Pacific Magazines publication claimed on Monday that The Voice host and her boyfriend, musician Matthew Copley, were set to be married next month at Pa’ako Beach, Maui, Hawaii – information they claimed to have acquired from a “leaked save the date” invite. This is the third time this year a tabloid has alleged that Goodrem is set to be wed – unbeknownst to the singer herself – and approximately the gazillionth time it’s happened during her many years in the spotlight. Just call her Australia’s answer to Jennifer Aniston. Herald Sun asks: Is Kevin Bartlett leaving radio station SEN? David Schwarz and Mark Allen have re-signed with Macquarie Sports Radio and there’s increasing speculation that another former SEN stalwart will join them, reports News Corp’s Scott Gullan. The former SEN favourites will continue on the new station’s drive slot for another two years. But it’s the future of AFL great Kevin Bartlett that has the industry abuzz. 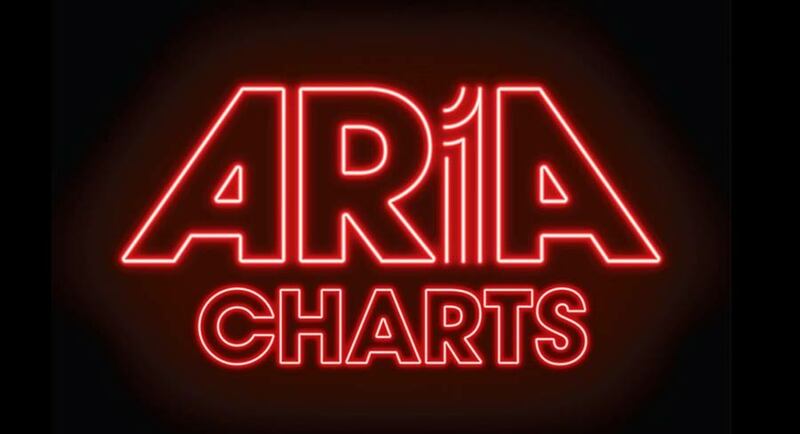 He has clashed a number of times with station management, the latest being over their refusal to let him do a podcast with racing expert Jason Richardson. Bartlett’s long-time producer Joe Pignataro recently quit SEN and started work at Macquarie yesterday, producing the station’s breakfast show. 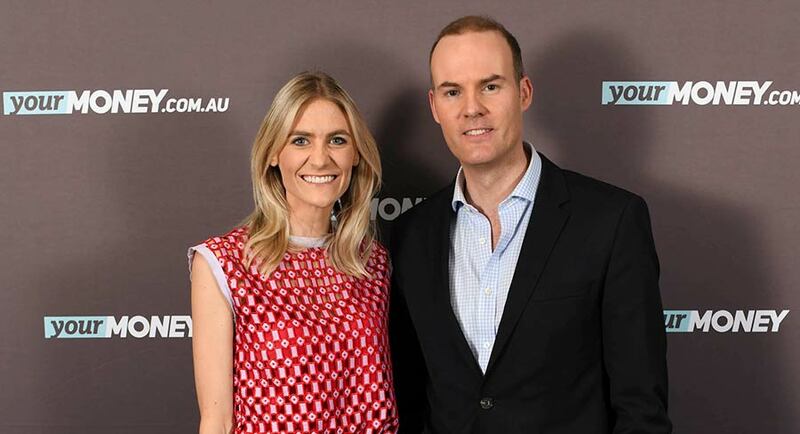 Brownlow medallist Adam Cooney is the hot favourite to join Kane Cornes on the new 1629 SEN SA brekkie show – if he’s willing to move back to Adelaide, reports News Corp’s Antimo Iannella. The South Australian, who played 250 games for the Bulldogs and Essendon, is rumoured to be the top choice to co-host the 24/7 sports station’s new early morning radio show from December 6. Adam and Kane have already worked together on SEN in Melbourne and have developed a good rapport. But the sticking point might be whether Adam will consider moving his family back to SA, after 15 years in Melbourne. 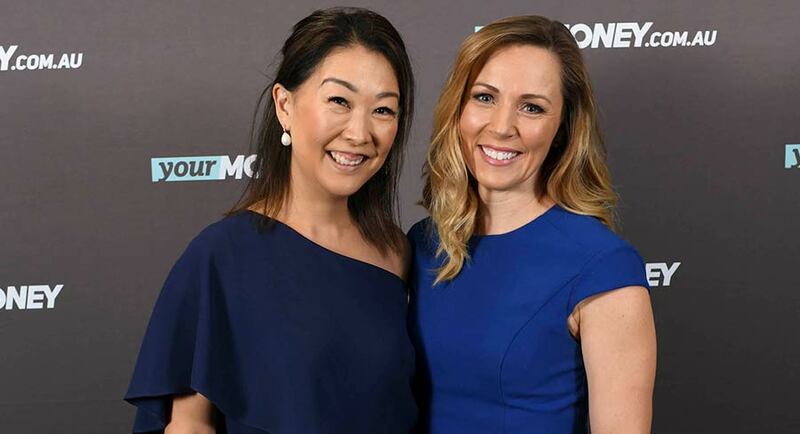 Just a week out from its 2019 Upfront, Network Ten has announced the arrival of a new US drama. Labelled a thought-evoking and heart-warming new US drama, A Million Little Things explores the lives of eight friends. Some have achieved success, while others are struggling in their careers and relationships. Despite their individual circumstances, all of them feel stuck in life. After one of them dies unexpectedly, it’s just the wake-up call the others need to finally start living. Along the way, they discover that friends may be the one thing that will save them from themselves. 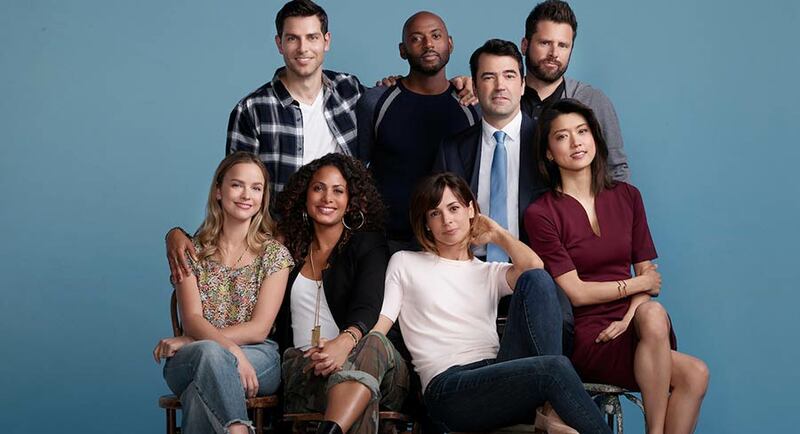 A Million Little Things features an ensemble cast, including David Giuntoli, Ron Livingston, Romany Malco, Allison Miller, Christina Moses, Christina Ochoa, Grace Park, James Roday, Stephanie Szostak and Lizzy Greene. DJ Nash is creator and executive producer. Aaron Kaplan, Dana Honor and James Griffiths are executive producers. The series is distributed internationally by CBS Studios International. BBC First has announced the anticipated The Little Drummer Girl will premiere on Wednesdays from November 14 at 8.30pm. From the producers of the award-winning The Night Manager and based on John le Carré’s best-selling spy thriller of the same name, The Little Drummer Girl stars Golden Globe winner Alexander Skarsgård (Big Little Lies), Academy Award nominee Michael Shannon (The Shape of Water) and BAFTA nominee Florence Pugh (Lady Macbeth) and is directed by visionary filmmaker Park Chan-wook (Old Boy, The Handmaiden). The Little Drummer Girl is a passionate love story and a deeply immersive thriller. As audacious now as when the book was first published, it portrays a world in which the lines between hero and villain, and between love and hate, are dangerously in flux. The pulling power of Lisa Wilkinson for Channel 10 is frustrating her former bosses at Nine, reports News Corp’s Kris Crane. Confidential reports that Wilkinson’s recent string of big-name interviews on The Sunday Project has irritated the opposition on rival shows 60 Minutes and Sunday Night. The producers at Nine and Seven have been talking around town about Channel 10 securing exclusive interviews despite their substantially lower audience numbers. “It is laughable that managers and brands are going with The Sunday Project when their ratings are so low,” one TV executive said. The chances of Usain Bolt playing in the A-League are all but over with the Jamaican sprinter set to knock back a contract offer from Central Coast Mariners that falls well below his asking price, reports Fairfax Media’s Dominic Bossi. After two months trialling with the club, the Mariners have opened the door for Bolt to pursue his dream of becoming a professional footballer but in doing so, have asked the sprinter how much he’s willing to sacrifice to fulfil that ambition. Fairfax Media understands the club tabled a contract to the Jamaican sprinter understood to be worth around the mean salary for an A-League player of less than $150,000, almost $2.9 million beneath Bolt’s initial asking price. Football Federation Australia confirmed they would not contribute to his salary. Winx’s ranking as the world’s best racehorse is under threat unless she wins her fourth successive Cox Plate by a convincing margin on Saturday, reports News Corp’s Ray Thomas. English racing commentator Matt Chapman caused quite a stir at the Cox Plate barrier draw function at Moonee Valley on Tuesday when he questioned the quality of opposition Winx has beaten in her 28-race winning streak. Chapman said if the international handicappers “do their job properly” then England’s Cracksman should be rated the best horse in the world after his Champion Stakes win at Ascot last weekend.